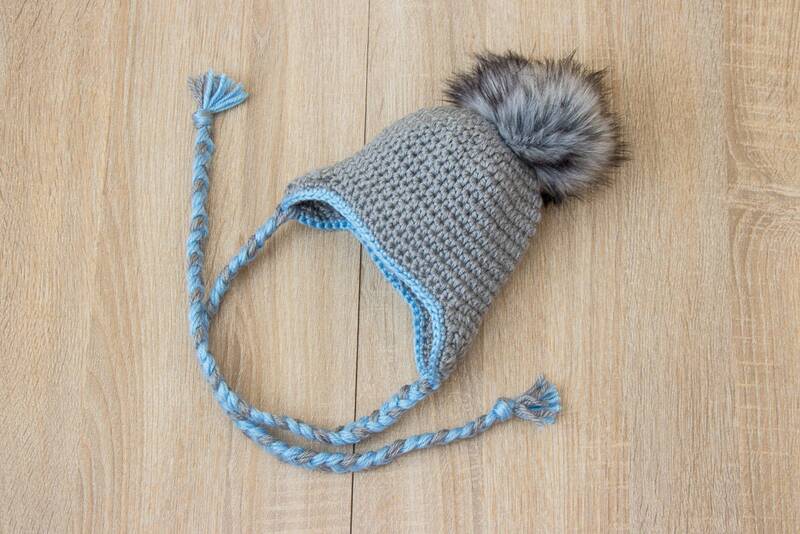 This baby boy hat with faux fur pom pom is warm and cozy. Perfect for fall, spring and winter. Perfect for everyday wear and also perfect for gifting or for a special photo session. Made with a soft acrylic yarn (The yarn is soft and delicate on the skin and is non-itchy). The hat has no visible seams.